The former governor of New Mexico, Gary Johnson, announced he was running for president as a candidate for the Libertarian party on Wednesday afternoon. "I am announcing my candidacy right now for the Libertarian nomination," Johnson said in an exclusive Fox Business interview with Neil Cavuto. "Game on! America deserves another choice in #2016presidentialelections. #libertarian," he Tweeted shortly thereafter. "Government is too big. It's unwieldy," Johnson told Cavuto on Fox Business. "It's out of control. We need to get control." Johnson's arrival into the race at this late stage may seem unexpected, but isn't. Back in November, Reason published an article claiming that Johnson was running for president in 2016, which was retweeted by Johnson's communication aide, John Vaught LaBeaume, prior to Johnson's official Fox Business announcement. Johnson himself spoke out about the possibility on Twitter earlier this week, writing, "Tune in tomorrow. I'll be on @FoxBusiness with @TeamCavuto, and may have some news to share re the #2016presidentialelections. #libertarian." And in October, he wrote on Twitter: "Why I would run for President," and linked to his Tumblr page. Back in 2014, in a Reddit AMA, Johnson was asked: "Let's skip the pleas­ant­ries and ask the ques­tion every­one wants to know the an­swer to. Will you be run­ning for pres­id­ent in 2016?" Johnson answered. "I hope to be able to run in 2016." So, if you wondered: Who is Gary Johnson, again? A refresher: Johnson was the Libertarian pick for president back in 2012, and prior to that was a Republican. Between 1995 and 2003, he served as governor of New Mexico, and when he initially ran as a presidential candidate in 2011, he was still a Republican. His policies largely leaned libertarian, however, and he went on to switch his party affiliation during his presidential bid. 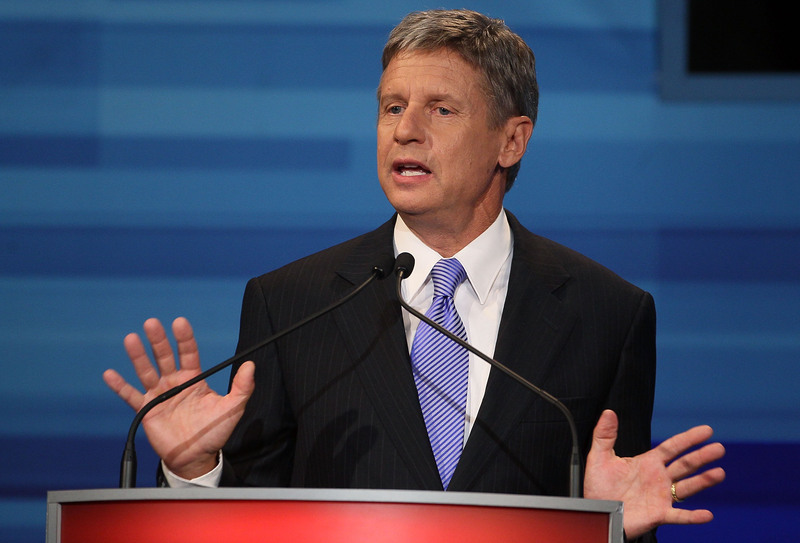 Johnson's 2012 run racked up more votes than any other run in the Libertarian party's history. In an interview with The Washington Post, Johnson said, "The idea was, if I do well enough, I'll run again. I’ll be the first one to say that I don’t think I did very well at all! But everyone else has said otherwise. That it was a very successful, very significant campaign for the party."